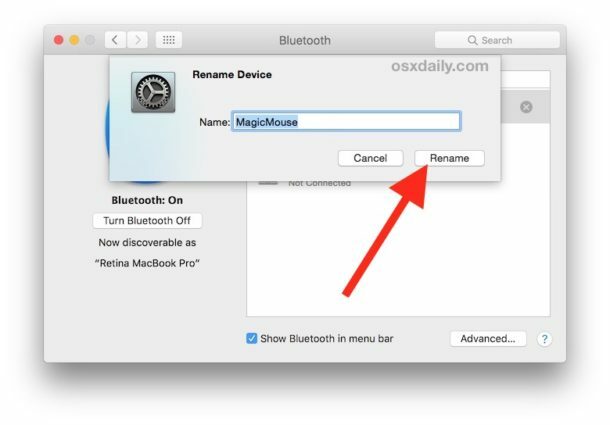 By default Mac OS will name a Bluetooth device like an Apple Magic Mouse as “Name’s Magic Mouse”, which makes it easy to identify. Some Mac users may wish to change that and assign a different name to their Magic Mouse or to rename the Magic Mouse however, perhaps to resolve a conflict, to not confuse multiple devices synced to the same Mac, for privacy purposes, or any other number of reasons. This quick guide will show you how to rename an Apple Magic Mouse or Magic Mouse 2 in Mac OS. To be clear this only renames the device, it doesn’t do anything else. You do not need disconnect the device or fiddle with Bluetooth at all. And yes, this applies to other Bluetooth devices on a Mac as well, and it works in all versions of Mac OS and Mac OS X. 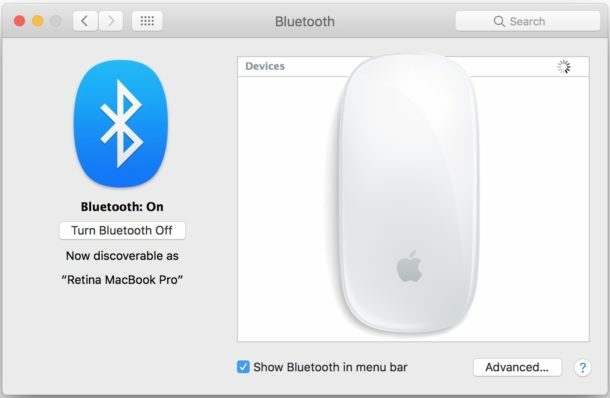 Once the Magic Mouse has been renamed it will carry through to all other locations where bluetooth device names are listed, like the Bluetooth preference panel and dropdown menu. Thanks a ton Paul. I have searched daily for 8 years to do this! Nope. The only option in the new operating system when you right click is to delete. The newer OS option is to Ctrl-Left Click on the device name and choose the Rename menu item from the Bluetooth Prefs Panel.